It’s very common for couples to get into arguments. What’s not very common though is an argument resulting in the creation of a startup. That’s what happened when a Tunisian entrepreneur Adam Chebbi had a fight with his girlfriend almost two years ago because they couldn’t find a new place to eat at. Eventually, they ended up going to one of the restaurants they had been to before, but this kept bothering Adam who at the time was a Masters student at Mediterranean School of Business (MSB) in Tunis. He decided that he needed to do something about it. He knew that there are tens of places people could go to but people don’t get to discover them because there’s very little or no information available about places and businesses online. To pursue his idea, Adam got in touch with Khalil, his friend from the grad school who had developed different platforms earlier for different local and international companies. Khalil was working for a company in Brazil back then and even though he had not heard from Adam for three years after they graduated, he jumped on board and they founded Vynd together. Founded late in 2015, Vynd is a community platform that helps people discover local businesses online and share their experiences about using services of these businesses. From cafes and restaurants to beauty parlors and furniture stores, Vynd has it all. The platform allows businesses to interact with their customers through better targeting and promotional coupons. It acts as a digital companion for the local offline businesses that also helps them increase their revenues and learn more about their customers using different analytical tools offered by the platform. Vynd has built its business model around a gamified system of points, that encourages businesses to offer discount coupons through the platform. Every time a business sells coupons on the platform, it earns points and these points can then be used by the business publish targeted ads. The startup doesn’t charge any commission on sales but for businesses to use targeted ads, they must have a premium account for which it has to pay a subscription fee. That’s how Vynd makes money. The startup that started as a web-only platform now has more than 7,000 businesses listed on it and is now available through an Android application as well, which has been downloaded over 7,000 times. Vynd’s team is also working on an iOS app that is expected to be available in the App Store by the end of this month. The path to having 7,000 businesses listed on their platform was not easy for Adam, Khalil and their team of 13 employees working from the startup’s only office in Tunis. Collecting data about the local businesses was one of the biggest challenges faced by Vynd when they initially started, Adam told MENAbytes. The young Tunisian startup has also been a part of a controversy. They had started a hashtag called “Fater” during the holy month of Ramadan. Launched within the platform, the hashtag aggregated and listed all the cafes and restaurants that stayed open throughout the day for people who not fasting. “There were people who were happy with the solution and there were some who were angry at us. National and international media including some TV channels covered us. It made a huge buzz and resulted in 300% growth of people using our platform on daily basis. Later, we also launched another hashtag called “Sayem” that listed all the restaurants where people can break their fast.” Adam told us. Having started Vynd with financial help from friends and family, Adam & Khalil have been able to raise about $100K in three different rounds, with their most recent funding coming from Flat6Labs Tunis. Vynd is part of the accelerator’s first cycle. Other investors include former Tunisian Minister Noomane Fehri, AfricInvest’s Khaled Ben Jilani, Axe Finance’s CTO Mohamed Ali Fekih, Dakhaloui & Partners’ Salah Dakhlaoui, ATUGE President Samar Louati, and Doremail’s founder Raouf Masmoudi. Flat6Labs has helped them reach the decision of focusing more on the niche of restaurants and cafes as more than 90% of their users use the platform to discover eateries. They’ve revised their strategy recently and would soon be launching the new web and mobile apps built around it. 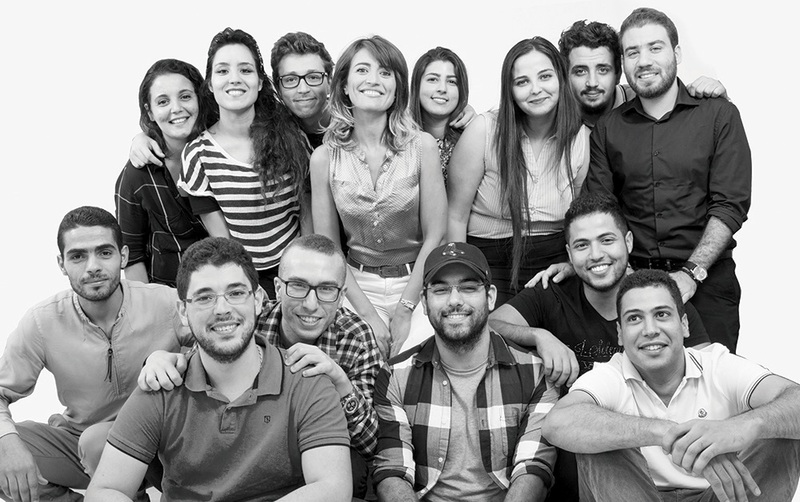 Vynd plans to raise another $500K to hire more talent and expand beyond Tunisia. For a startup that started because of an argument, Vynd has come a long way. And in case you were wondering, Adam and his girlfriend are happily married now.